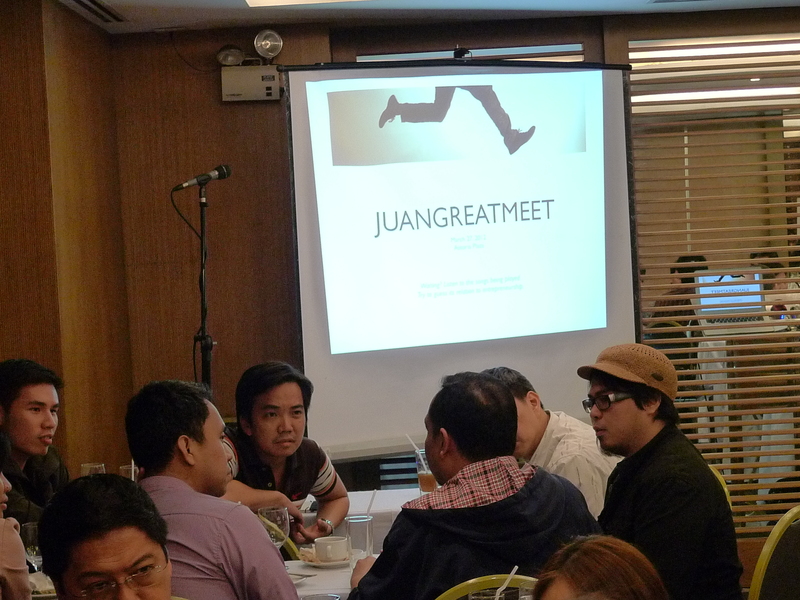 After the success of the first Juan Great Meet, I’ve been very eager to continue doing events like this. I’ve decided to make it a series where we would invite different entrepreneurs to give talks on their startup journeys, and then a question-and-answer portion. Then, like what worked so well before, we can have small group sharing/networking. The difference this time is that I would need to be charging for the event (or my wife will strangle me) to cover some expenses. Just P500 though, and will already include the usual entrepreneur staple: Pizza. The next entrepreneur talk is pretty exciting and I’m sure will be a tremendous learning opportunity. Howard Go is the co-founder of Mochibits, Inc., an ultra-lean startup which has been creating money-making games on the Apple and Android App Stores for the past two years. Their most successful apps (SWIPETAPTAP, WORD TO WORD, and WORD STACK) have each been featured at one point by either Apple’s App Store or Amazon’s App Store. Howard will talk all about his startup journey, which includes his own escape from the corporate jungle, putting up and closing down different businesses, and ultimately entering and thriving in the app development world. I do know one thing: his pointers on what not to do and what to do when releasing an app is worth the price of ten admissions! …then reserve a slot now (limited to 50 slots) ! And then you can either email me a copy of the deposit slip picture at pcauton@yahoo.com, or fax it at 02-5769358 (request for faxtone).